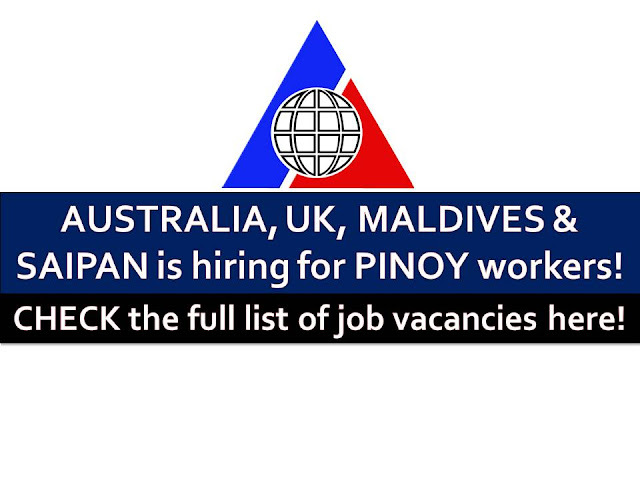 The following are jobs approved by POEA for deployment to Australia, Saipan, United Kingdom and Maldives. Job applicants may contact the recruitment agency assigned to inquire for further information or to apply online for the job. The license information of employment agency on this website might change without notice, please contact the POEA for the updated information.